The fight for a well-paid job without having a degree can sometimes seem tough, especially if you’re thinking of pursuing a career in the nuclear sector. Jobs in nuclear are often long-term, rewarding and highly skilled, and while obtaining a role can be difficult, did you know that there are still a number of roles out there in which you can earn serious money without a degree? There are currently nearly 66,000 people employed by the UK nuclear industry and thanks to the UK’s nuclear new build programme this figure has the potential to almost double. Have a look at our Nuclear Salary Survey to make sure you're up-to-date with current market rates. Non-power-producing nuclear facilities (e.g. producing and reprocessing nuclear fuel. Getting an entry-level job in risk analysis may be possible without a degree, although experience in finance or insurance is usually required. Despite this, there are still opportunities and risk analysts are highly desired if you can display a certain level of knowledge, for instance identifying and analysing areas of potential risk that threaten the assets base, earning capacity, and so on. Nuclear operators control the flow of electricity from nuclear power plants. They need to be active listeners, critical thinkers and have a real knack for problem solving, among other skills. This is one of the few roles where you don’t need to be taught at degree-level, but you will however be put through a rigorous training programme. Nuclear technicians research and develop the processes, instruments, and systems used to derive benefits from nuclear energy and radiation. Becoming a nuclear technician can frequently lead to higher-level employment in other science-related fields and while some experience and education is required, this position can be a good way to gain a foothold. Although in many cases a degree is preferable, those who don’t have one will be expected to extensive on-the-job training. Everyone thinks that having a job in the nuclear sector means having to work with radiation while getting your hands dirty, but the role of an electrical technician doesn’t necessarily fit this description. It requires you to install, repair and maintain highly complex electrical and electronic equipment in the nuclear plant, working on equipment like motors, circuit breakers, electrical cables, switchgear, generators and more. Currently there are 1,500 workers on site at Hinkley Point C and overall the project is due to create 25,000 job opportunities. As an infrastructure operative, you’ll be responsible for promoting a health and safety culture and ensuring works are completed in a safe and compliant manner. This type of work usually also consists of erecting and removing appropriate signs, barriers, warning lamps and more to help with the day to day works. 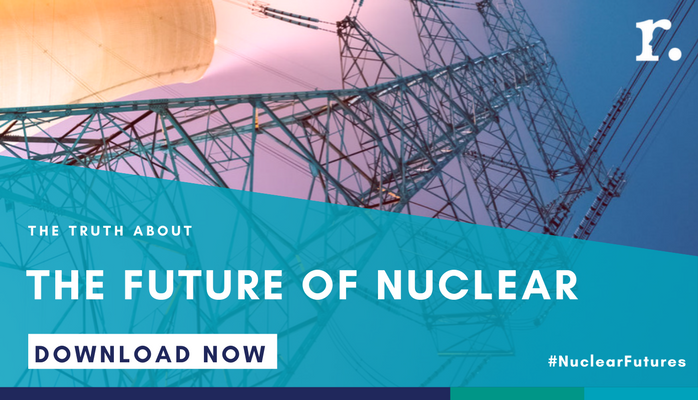 The UK’s nuclear industry provides about 18% of the country’s electricity and as such the government has outlined plans to build more nuclear power stations. With the advent of new stations, as well as existing operations and decommissioning, there are a growing number of opportunities across the sector. The types of roles available may vary, such as decommissioning operatives and radiation monitors while each new apprentice will receive extensive training. If you’re thinking of starting a new career in the nuclear sector, please take a look at our Nuclear & Defence listings and our Hinkley Point C vacancies.